Anthony Codd reinstated - solidarity wins! The threat of strikes among Track maintenance workers has beaten the bosses sacking of Anthony Codd, sacked for following procedures in a disciplinary. Tubeworker is pleased to report that the mere threat of strikes was enough to win his job back. When we stand together, we are more than a match for management. 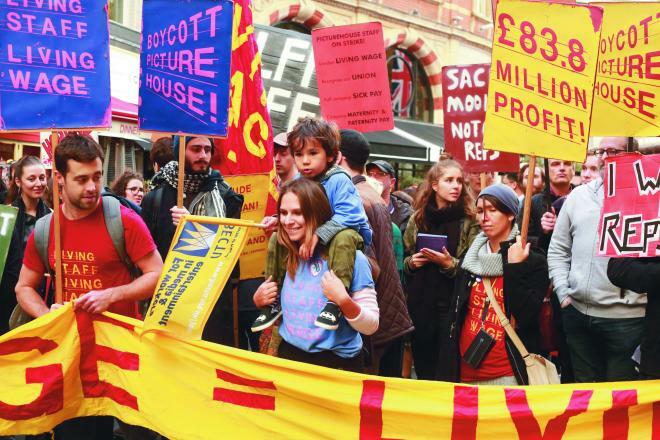 Read more about Anthony Codd reinstated - solidarity wins! Train drivers on London Underground’s Central Line will strike again over 21-22 December, to demand the reinstatement of unjustly sacked colleague Paul Bailey. Paul was sacked after passing a random drugs test. Although he registered for the presence of cannabinoid substances, due to taking hemp supplements, he was within the “cut off limit” of 50ng/ml. The RMT union says Paul’s sacking “undermines the integrity of London Underground’s entire drugs and alcohol testing regime”. Karen Reissmann, Unison activist, North West Health rep, and SWP member, has been suspended from holding office in the union. This action has apparently been taken because of her prominent opposition to this year’s NHS pay deal, negotiated and championed by Unison health leaders. Read more about Reinstate Karen Reissmann! 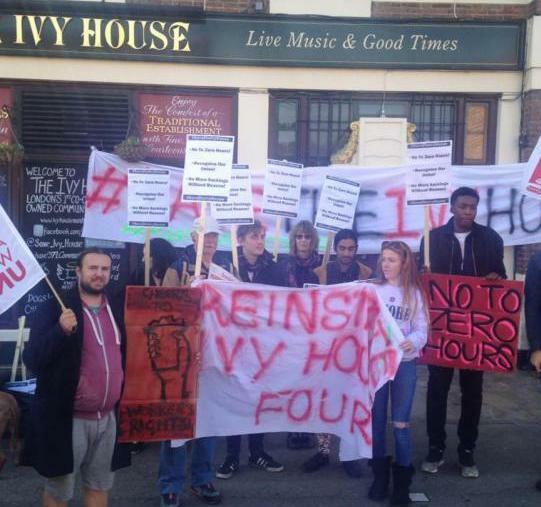 Workers at the Ivy House pub in Nunhead (South London) have been on strike since the morning of 30 September in a dispute about four sudden, unexplained dismissals, zero hours contracts and union recognition. They want reinstatement or at least suspension with pay and a proper process for reviewing the cases; secure, fixed hours contracts; and recognition of their union, the BFAWU. Members of drivers’ union Aslef on London Underground are balloting for industrial action to win safer cabs. Unions say a recent incident on the Northern Line, in which passengers broke into the cab of a female driver and attacked her, vindicate long-running union complaints about the lack of security of drivers’ cab doors. Aslef’s ballot began on 4 September. RMT says it is also considering balloting its driver members. On Tuesday 31 July Indianapolis welder Antoine Dangerfield filmed what became a viral video, watched over 2 million times in two days, of a wildcat strike by Latino construction workers building a new UPS hub. In the video and in a subsequent interview with Jacobin magazine Dangerfield explains that some Latino workers, working for a different contractor but in the same hub were ordered to go home (effectively sacked) by a white boss he calls racist.